Multiple requests for a re-posting of this article (from 2015) have been made in the last 24 hours. It's included here in its entirety (with updated cross-reference links at the end of the article). 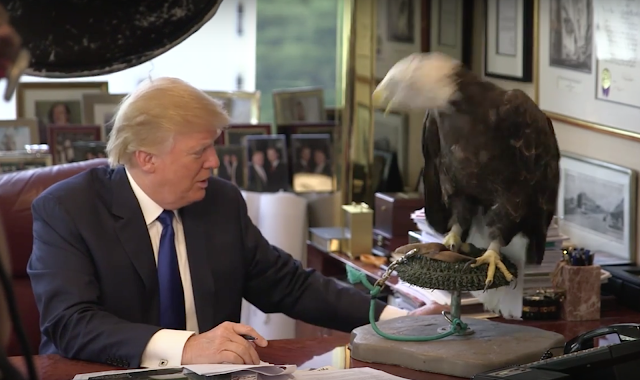 The latest Donald Trump video is obviously not to his liking - and understandably so. Although far from Daniel Day-Lewis, the businessman-turned-politician normally has a somewhat better control of his facial expressions compared with most candidates. This video, however, shows us a very candid exception. In August 2015, when the Republican was posing with a bald eagle (named "Uncle Sam") for a Time magazine cover, Trump demonstrated several key, but non-flattering nonverbal faux pas. In this split second, we can see Trump invading the personal (intimate) space of Uncle Sam. Yet the raptor, it seems, is much quicker than the republican. Animals, of course, are no different than people when it comes to proxemic principles - if they don't know you well AND if you don't share a good rapport - they will NOT welcome you into their intimate space. 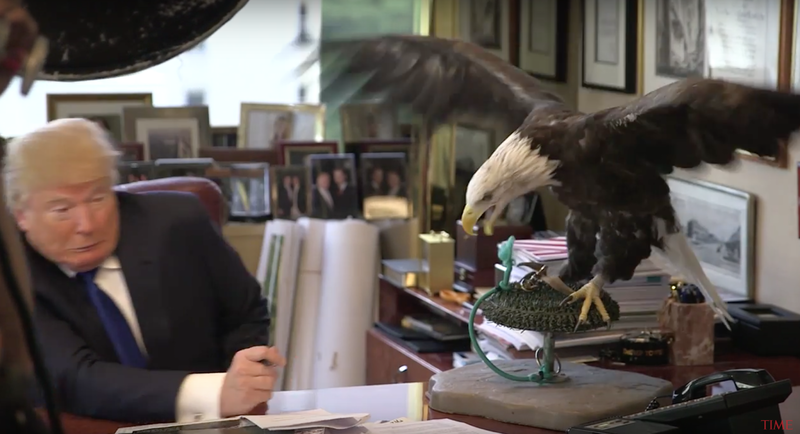 This morning during a phone interview on "Fox & Friends", Steve Doocy asked Mr. Trump, "Were you a little frightened by that bird?". Trump replied, "No, not really." Note the expression on Mr. Trump - particularly his mouth. His sudden, tightening and lateral vectoring (with down-turned corners) of his mouth is a classic "mouth of fear". A split second later we see Trump's "fear mouth" become even more extreme. 3. Donald Trump Lied. 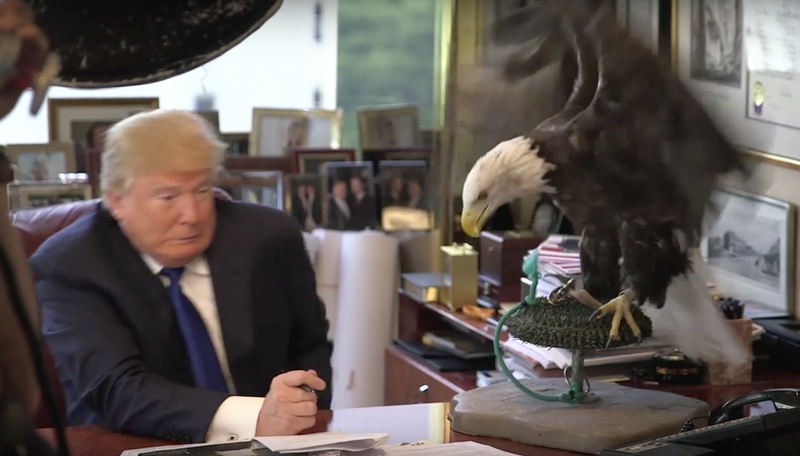 He was indeed quite frightened by Uncle Sam the Bald Eagle.